Looking to rev up your marketing strategy? Consider a “content-first” approach and native advertising with this data-backed breakdown. Native Advertising refers to creating ads that match the form, function, and feel of the content of the page in which they appear – so “native” to their environment (hence the name). Rather than a traditional “banner ad” that is a flat image with branding within, native ads often feature a headline, a description underneath, and an accompanying image. A “content first” approach or content marketing is an umbrella term that Native advertising falls into. It promotes relevant, targeted content first as a gateway to a brand or product. But a “content first” also refers to a tactic of driving relevant content to targeted consumers over time, creating retention and loyalty. It is an ongoing process, rather than a one-off approach. Content refers to media, graphics, video, audio, copy, social media communication, and anything else used to tell a story or communicate an idea. This content is created, published, and promoted to a target audience who would be interested in the content provided (an article, perhaps) or the product. Also think of it as a way to educate potential customers about a product or service, informing them about its benefits in order to gain trust and ultimately boost sales. Do not underestimate the power of relevant content reaching an interested viewer. According to DemandMetric, 60% of people are inspired to seek out a product after reading content about it and 68% of people spend time reading about brands that interest them. A whopping 80% of people appreciate learning about a company through custom content (DemandMetric) which creates trust in the brand (Ion Interactive). This all contributes to… you guessed it… higher engagement and greater sales. Still not convinced a “content first” approach to marketing is for you? Consider the toughest audience to crack: the skeptical, independent internet user that prefers to ride under the advertising radar – with adblockers. It’s a large audience: over 615 million devices use an adblocker of some sort, according to PageFair Adblock Report, and interestingly, American adblock users are more likely to have a bachelor’s degree. A HubSpot study reported that 64% of people use adblock services because they consider ads annoying and intrusive. The good news? Since content is not just an “ad,” but a source of value, content marketing is an effective method to circumvent blockers. According to DemandMetric, content marketing costs 62% less than traditional marketing programs, and generates approximately three times the volume of leads…Wow. Ion Interactive reported the same thing. Leaders are taking notice. 78% of CMOs see custom content as the future of marketing according to DemandMetric, and according to the 2018 State of Content report from Content Marketing Institute, 86% of B2C and 91% of B2B marketers are now using content marketing (CMI B2C Research & B2B Research). In addition to a content-first approach and native advertising, short videos, data-drive, artificial intelligence, context marketing, measurement and anti-fraud will be the focus of marketers in 2018 and beyond, according to AdMaster. The other emerging trend is original content. Consumers are discerning; they want original, useful content that isn’t brand-heavy. Apple committed to spending $1 billion on original content for its streaming platform and PepsiCo opened a brand new content creation studio in downtown NYC with the aim of generating revenue and creating a vehicle for advertising their products. Overall, listen to what the consumer is saying. 92% of consumers want brands to make ads that feel like a story (Ion Interactive). 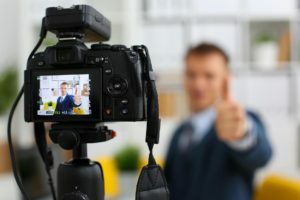 According to Forbes, this is a positive: as the industry pivots away from branded content aimed at selling (even gently) to content as a vehicle, there are wide open opportunities for new brands to enter the market and grab the attention of consumers.